Anil Hargovan is an Associate Professor in the School of Taxation and Business Law at the University of New South Wales, Sydney, Australia. His research interests are in the area of corporate and insolvency law, a discipline in which he has presented many conference papers and published widely in refereed Australian and international law journals. Anil has published over 100 articles, books and book chapters. His research has been cited by law reform committees and the judiciary. Anil has authored and co-authored several books, including Australian Corporate Law (6th edition, 2018, LexisNexis Butterworths) and Principles of Contemporary Corporate Governance (4th edition, 2018, Cambridge University Press). 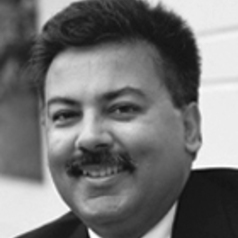 Anil is the former President of the Corporate Law Teachers Association (founded 1991), the peak body representing over 100 academics and corporate law scholars in the Australasian region. He is a member of the Corporate Governance Subject Advisory Committee and Chair of the Applied Corporate Law Subject Advisory Committee for the Governance Institute, Australia.